Take classes whenever it's most convenient for you — day or evening — as a Continuing Education student. Guilford offers 40-plus majors, some of which can be completed exclusively during evening hours. You can be a full-time student by attending classes as few as two nights a week. We understand the challenges you face juggling responsibilities and finances. For that reason, we've created a price structure that makes it easier to invest in your future — one that's sensitive to the specific needs of our Continuing Education students. Contact the Office of Financial Aid at 336.316.2354 to make a plan that works for you. Ready to get started? Apply to a program that can get your career moving in the right direction. We have everything you'll need to become a Continuing Education student at Guilford. Guilford's inventive majors like Cyber and Network Security and Sustainable Food Systems offer you a clear path toward rewarding careers. Make yourself more marketable to employers by expanding your experience with a minor. Some of our 50-plus programs can be attended exclusively during evening hours. Get the answers you need about applying and what financial aid options are available to you directly from your admission counselor. Do you have an excellent academic record? Phi Theta Kappa scholarships are awarded to outstanding Continuing Education students who are transfer students pursuing their first bachelor's degree and are current members of the Phi Theta Kappa International Honor Society. Award recipients must carry a minimum course load of eight semester hours and maintain a 3.0 GPA while at Guilford. Awards are $1,000 per semester for four semesters and are merit-based. Give your career a boost with programs and services specially created to help you make the most of college. Develop your skill set and gain the experiences you need to sharpen your expertise and become more marketable. Whatever your passion, you'll discover a program with the coursework to match it at Guilford. 92 percent of Guilford professors hold a terminal degree in their field of expertise. That's how many credits Guilford's welcoming policy may accept when you transfer from a two-year college — it's also the percentage of transfer students in the Continuing Education program. You can also earn up to 16 credits from your military experience. You can complete your coursework for some of our majors entirely during evening hours. 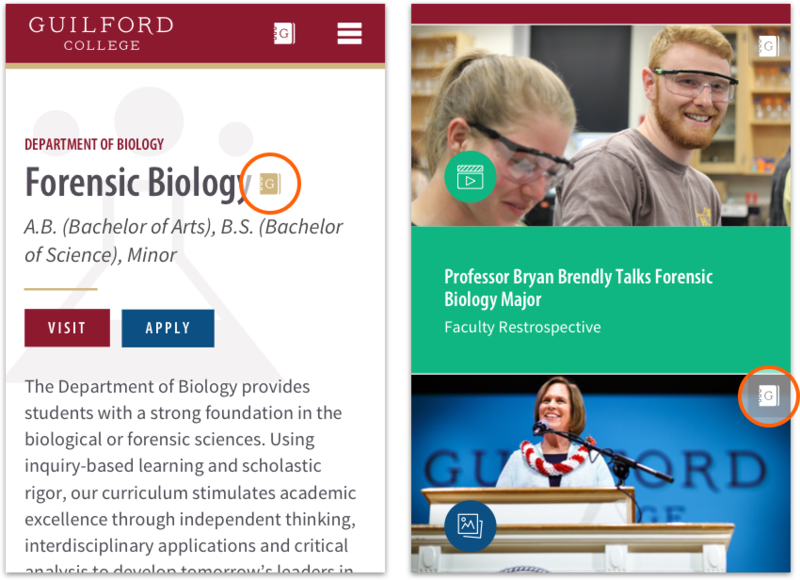 Guilford has many resources specifically designed for Continuing Education students. Our support services are committed to helping you make an easy transition into college and advancing your academic career. Once you're admitted, you'll meet with an adviser to assist you with choosing classes and making sure you understand your chosen degree program's requirements and options. You'll also have access to career counseling, connections to service projects, and the option of sharing your journey through our mentoring program. We're here to support you in ways that matter. During your first term as a Continuing Education student, you'll have access to an invaluable Adult Transitions course and study lounges dedicated to Guilford's commuter and military veteran students.  Is there an age requirement for admission to Guilford's Continuing Education program? Yes. To qualify for Continuing Education courses at Guilford, you must either: 1) be 23 years old by the last day of the first term of enrollment; or 2) hold a baccalaureate degree from an approved academic institution. Yes! Submit the FAFSA using the Guilford College school code of 002931, and our Financial Aid counselors will work with you to find the best available financial aid to meet your needs. It depends on how many transfer credits you have and how many credits you complete per term. When can I schedule my classes? You can take classes during the day and/or evening. The evening schedule is set up so you can be enrolled full time while attending as few as two nights a week: Monday and Wednesday or Tuesday and Thursday. What majors are offered in the evening? All requirements can be completed as part of the evening course schedule for the following majors: Accounting, African and African-American Studies, Business Administration, Community and Justice Studies, Computing Technology and Information Systems, Criminal Justice, Forensic Biology, and Cyber and Network Security. Will Guilford accept transfer credit? Our welcoming and fair transfer policy accepts an unlimited number of transfer credits from regionally accredited four-year schools and universities and up to 64 credits from regionally accredited two-year community colleges and technical colleges. We also accept up to 16 credits for military service and up to 16 credits for College Level Examination Program (CLEP) tests. On average, there are 19 students in each class. How can I get involved on campus? While the Continuing Education program is exclusively for students age 23 and older, you are a valued community member. 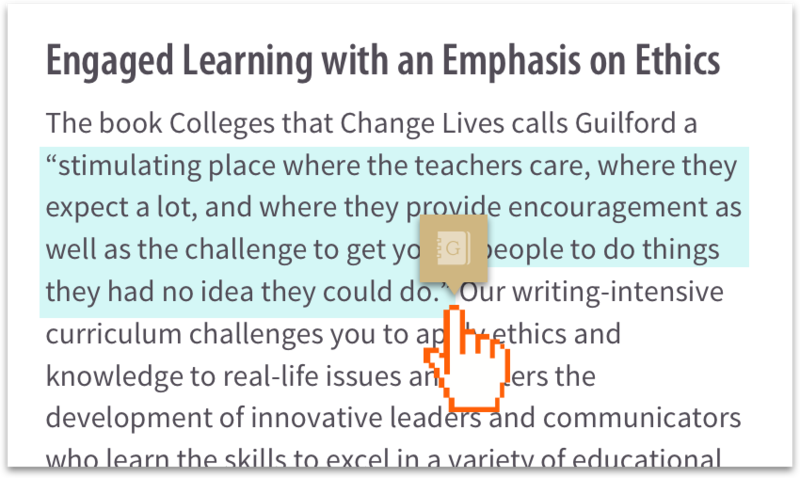 As such, we encourage you to participate and become an integral part of life at Guilford. Join the adult Student Government Association or attend a Theatre Studies production or a Bryan Series lecture, which has featured former President Bill Clinton and former British Prime Minister Tony Blair. You're always welcome to attend sporting events and show your school spirit by rooting for the Quakers!